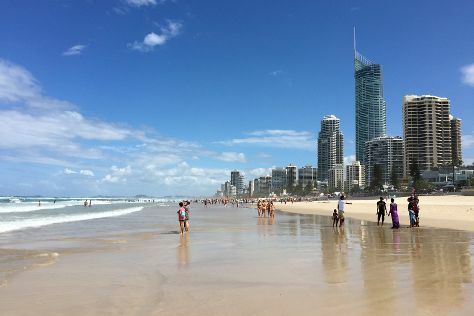 The main appeal of Surfer’s Paradise can be identified from its name alone. Beach life is prominent, with the white sands and warm seas attracting a large number of visitors every year. This suburb of Gold Coast City is home to countless bars, restaurants, and nightclubs as well as a number of shopping malls. Surfers Paradise is in Gold Coast. Plan how to spend your time in Surfers Paradise and other destinations in Australia using our Australia online vacation planner .